It's the future, and the world has been taken over by flesh-eating zombies. Scientists wall off a city for those who haven't caught the virus. They capture and study a few young people, looking to find a cure. This being a dystopian world, the scientists plan to cure only the "right" people. Handsome & earnest Dylan O'Brien leads a group of kids, wanting answers. They break into the walled city, where the good kids take on the bad adults (including scientist Patricia Clarkson and security villain Aidan Gillen.) Most scenes feel generic. 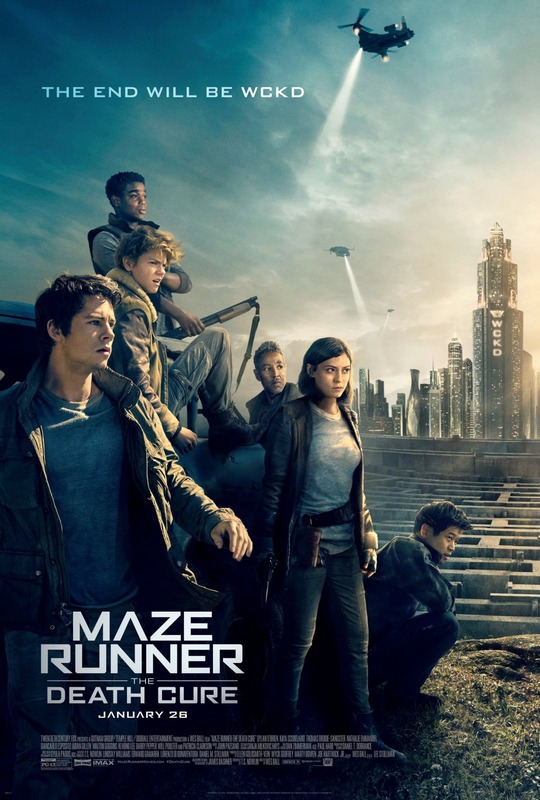 "Maze Runner" runs almost two and a half hours, and feels longer. Nothing new here. Move on everyone. "Maze Runner: The Death Cure," 1 star, rated PG-13. Does it deliver what it promises? Young adult dystopia. Is it entertaining? More of the same. Is it worth the price of admission? For those most ardent.